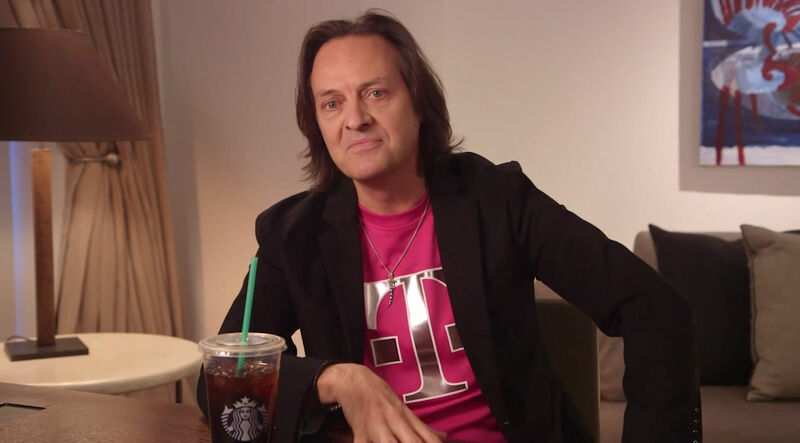 John Legere, the man responsible for making T-Mobile the competitive carrier it currently is, has officially reached 3 million followers on Twitter. While that’s impressive, Legere’s celebration for this milestone is completely ludicrous. Announced via his Twitter, if a specified tweet (this one) reaches 1,000,000 retweets, he will send someone to Mars via SpaceX’s Mars program. If you aren’t in the Hyperloop (that’s a pun), SpaceX and Elon Musk recently unveiled plans to colonize Mars in the future. By the future, I mean a little under a decade from now, with Mars flights beginning as soon as late 2022. Anyway, as detailed by Elon Musk, a trip to Mars could cost roughly $200,000. So, if the tweet hits that 1 million RT mark, SpaceX has flights and you’re selected randomly, then you’re off to Mars. Legere also details via the official rules that if trips to Mars aren’t yet commercially available, the winner will receive a check for $200,000. That’s not bad for a simple retweet, am I right? With the odds of his tweet reaching 1 million retweets seeming quite low, there are other prizes to shoot for. At 10,000 retweets, you can win a flight voucher valued at $800. At 50,000 retweets, you can win a zero gravity chair valued at $2,000. At 100,000 retweets, someone would win a zero gravity experience, listed with a retail price of $5,500. No matter what, we have a few cool prizes here.